More than 65 million years ago, a massive space rock smashed into the Earth, causing earthquakes, landslides and tsunamis. About 75 percent of all species were wiped out on that ‘day’. 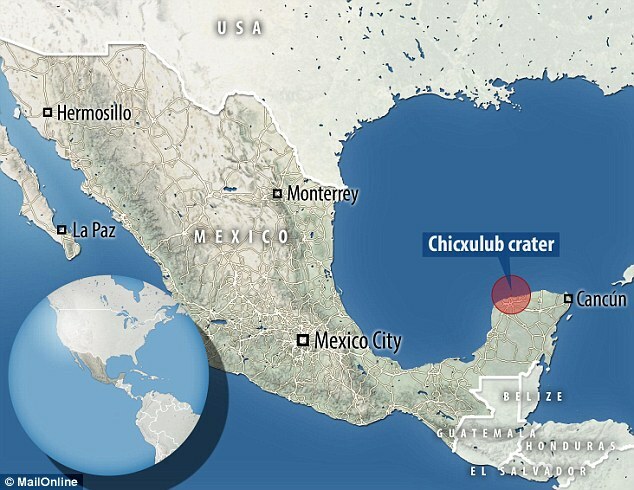 Researchers are now sifting through the impact zone, known now as Mexico’s Yucatan Peninsula, to find out more on ‘The Worst Day in Earth’s History’. The 100-mile diameter crash site has been known since the 1980s. Experts have learned that within 10 hours of impact, there were intense tsunamis around the Gulf coast, causing an immense wave to rip across the coast. The effect of the hit was however not only felt in the Gulf coast. It was strong enough to cause other natural disasters such as earthquakes, tsunamis and landslides as far as Argentina. Some of the creatures that survived all these were killed by the heat. Called spherules, these small particles covered the world with a one-tenth inch thick layer. ‘The kinetic energy carried by these spherules is colossal, about 20 million megatons total or about the energy of a one megaton hydrogen bomb at six kilometer intervals around the planet,’ says University of Colorado geologist Doug Robertson. All of this energy was transformed into heat as those tiny particles from the asteroid fell through the sky from 40 miles in the air – just 40 minutes after impact. 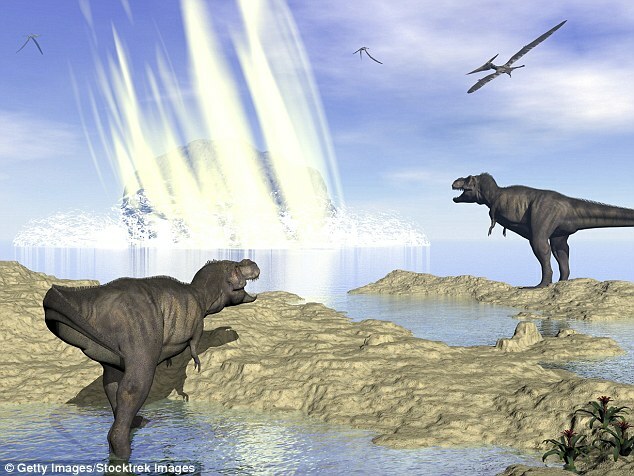 ‘For several hours following the Chicxulub impact, the entire Earth was bathed with intense infrared radiation from ballistically reentering ejecta,’ Robertson and his colleagues write in a 2004 paper titled ‘Survival in the First Hours of the Cenozoic’. Every creature left out in the open died within several hours of the intense heat and wildfires viciously spread through dried vegetation. 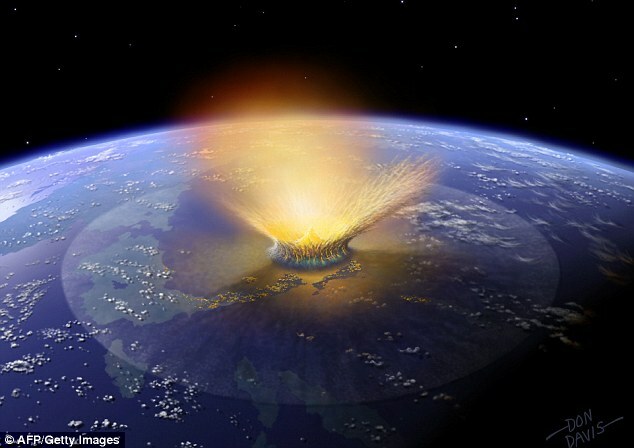 Experts believe that much of the Cretaceous life that lived on land disappeared in just a matter of hours. ‘The climate impact was enormous,’ Robertson says. Dust and soot from the impact and fires created an ‘impact winter’, with the zero sunlight reaching the surface of the earth for more than a year. Those organism that miraculously survived the scorching temperatures and wildfires were introduced to new threats and challenges. Losing light from the sun caused a complete collapse in the aquatic system as the phytoplankton base of almost all aquatic food chains would have been eliminated.